Every fighter dreams of fighting under the bright lights of Las Vegas, and of boxing inside the deeply historic Madison Square Garden in New York. It was thought Australian warrior Jeff Horn would get the opportunity to do the former this coming April, but now it has been announced how the reigning WBO welterweight champion will instead experience the latter. Horn’s mandatory defence against the unbeaten Terence Crawford, originally thought to be on for April 21 in Las Vegas, has been brought forward a week and to New York’s legendary venue. Naturally Horn and his whole team are thrilled at the news. Horn, himself unbeaten but in the eyes of many facing the single toughest test of his entire career, has never before boxed outside of Australia or New Zealand at pro level (Horn travelled the globe as an amateur fighter, picking up plenty of experience in doing so); but his manager Dean Lonergan says that in no way will the fight in New York intimidate his fighter. 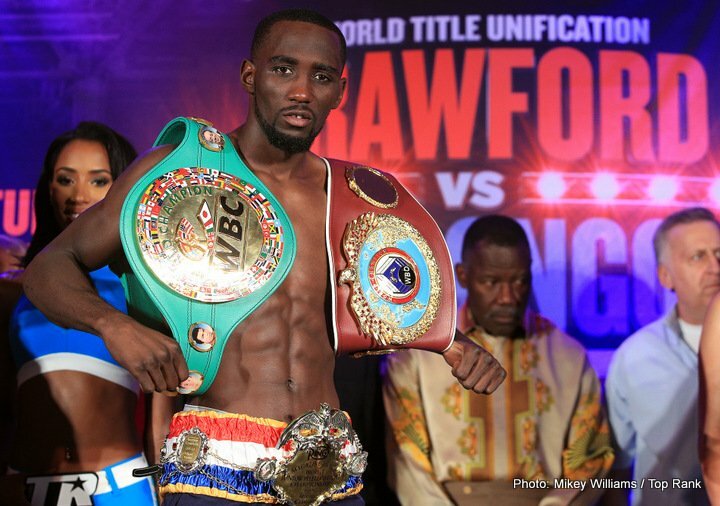 Crawford will likely have the majority of the fans on his side, to begin with anyway; but if Horn, with his crowd-pleasing style, is able to get into the fight and have succes, just maybe the fans will all warm to him. Certainly this is Horn’s fight to win and Crawford’s to lose. Has Crawford overlooked Horn in any way, the same way some people claim Pac Man did ahead of last July’s fight where Horn took the WBO belt from the all-time great? Horn will be incredibly “up” for this fight, one that, should he win, will catapult him into the pound for pound rankings, and it’s hard to see how Crawford can be as pumped up. Crawford is expected to win, Horn is not. But Horn has shown before how he is more than capable of upsetting the odds. And Madison Square Garden, so utterly steeped in history, has a way of inspiring any fighter to perform at an even exceptional level. Horn needs to go to New York and pull off what would likely go down as The Upset of The Year for 2018. Can he do it? Also spoken of as a possible bonus for the card is the maybe appearnce of Manny Pacquiao on the bill. Bob Arum told The Las Vegas Review-Journal earlier this week how Pac Man may fight on the card. But if so, would the former multi-weight king be content with fighting on the under-card? It would all depend on who Manny’s dance partner was, but if it turns out to be that Pacquiao does fight on the April event, and against a top contender/name, chances are THIS fight would top the bill. 2018 really is shaping up as a great year for the welterweight division. With excellent fighters such as Keith Thurman, Errol Spence, Shawn Porter and Crawford and Horn, there are a number of can’t-miss match-ups to be made. Hopefully April 14 will give us the first of a number of great 147 pound battles this year (or the second should Lamont Peterson rise up once more and give Spence a real test tomorrow night).